This week we are in the sunny Caribbean to visit a country that has become a tourist hub and has continually punched above its weight in the financial sector. 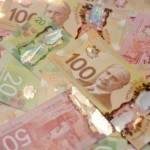 So whether you need to buy Bahamian dollars for business or for pleasure, read on for more information about this unique currency. Until the early 18th century the Bahamas was a pirate haven, anarchy ruled and there was no formal government, let alone a currency. In 1718 Britain captured the island and, after a tumultuous early history, eventually solidified their rule. As a consequence, the British pound became the currency of the Bahamas. In 1964 the island was granted internal autonomy and two years later in 1966, the pound was replaced by the Bahamian dollar at a rate of B$1 to 7 shillings. This rate ensured that B$1 was equal in value to 1 USD. The conversion was accompanied by decimalization which saw B$1 broken into 100 cents. 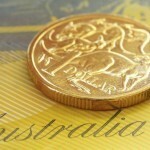 When the pound was replaced by the dollar the exchange rate stood at £1 to $2.80. In order to make the transition between currencies smoother, the government printed unique $3 bills, roughly equivalent in value to £1 as well as a 15¢ coin roughly equal in value to one shilling. The original 1966 set of coins included 1¢, 5¢, 10¢, 15¢, 25¢, 50¢, $1 and $2. The original 10¢ was scallop shaped and the 15¢ remains square while the 50¢ and $1 were cast from silver. No silver coins were issued after this initial batch and although 15¢, 50¢, $1, $2, $5 coins are still produced by the central bank they are not commonly used. Every coin includes the Bahamian Coat of Arms with the date and is inscribed with “Commonwealth of the Bahamas”. Featured on the reverse of each coin are different animals, plants and aspects of Bahamian culture. The 1¢ has three starfish, the 5¢ a pineapple, on the 10¢ coin are two bonefish, on the 15¢ a hibiscus and on the 25¢ a sloop (a type of single mast sailing boat). The first issue of Bahamian notes included ½, 1, 3, 5, 10, 20, 50 and 100 dollar notes. 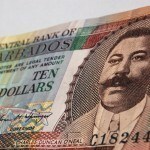 All notes are the same size, similar to the US dollar, but unlike their American counterpart Bahamian bills are notable for their colourful designs. The dark green $1 bill features Sir Lynden O. Pindling, regarded as the father of the Bahamas, on the obverse and the Royal Bahamas Police Force on the reverse. Featured on the orange, brown and blue of the $5 are Sir Cecil Wallace-Whitfield and a Junkanoo dance (celebrating boxing day) on the reverse. Queen Elizabeth II (the official monarch) and Hope Town are displayed on the dark blue, green and maroon $10 notes, Sir Stafford Lofthouse Sands (former Finance Minister) and Hope Town are featured on an alternate version of the same denomination. In charcoal, red and green are Sir Milo B. Butler (the first Governor General) and Nassau Harbor on the $20. Ronald T. Symonette (the first Premier) and the Central Bank of the Bahamas building are printed on orange, brown and green notes of the $50 bill. On the $100 in purple, blue, green and mauve is Queen Elizabeth II and a blue marlin. 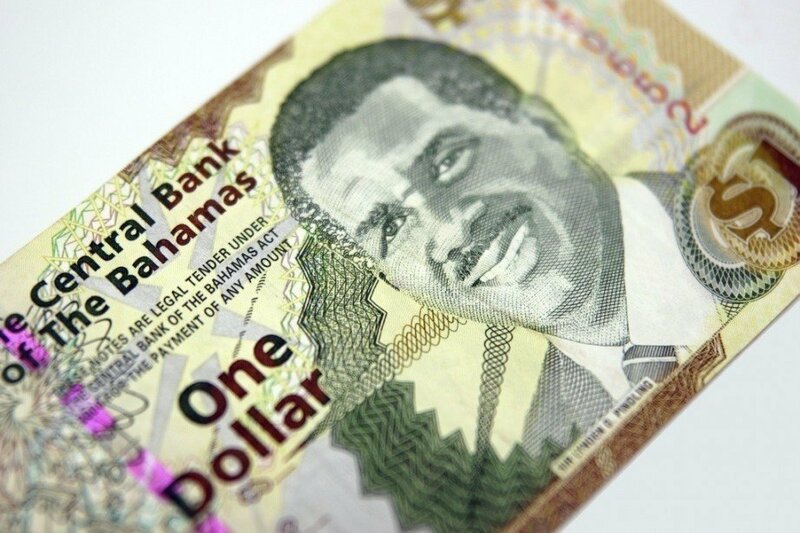 Since it was first issued the Bahamian dollar has remained pegged to the US dollar on a one-to-one basis. The Central Bank of the Bahamas maintains that its primary objective is to maintain this parity. As a result the US dollar is accepted by businesses across the island. 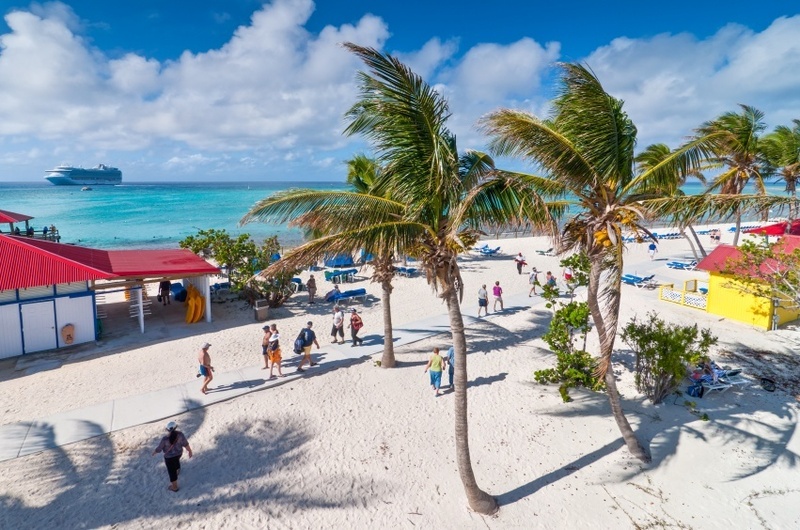 It is no secret that the core of the Bahamas economy is tourism. The industry accounts for over 60% of the country’s GDP and employment for over 50% of the workforce. 70% of tourists arrive via cruise ships. Second to tourism is the financial services sector which generates 15% of GDP. A competitive tax system which boasts no income tax, no corporate tax, capital gains tax or wealth tax and a VAT of just 7.5% has made the island an attractive hub for foreign capital – to the ire of some foreign governments. Thanks to the tourism and financial services industries the Bahamas boasts one of the highest GDP per capita rates in the world at $22,832. The Bahamas has become synonymous with sunny vacations, luxurious cruises and sandy beaches. The tourism industry is going nowhere and has proven to be resilient in the past. Add to this the financial services sector and the Bahamas has successfully carved out a unique niche in the global economy. The peg to the USD shows no sign of being abandoned so, for the time being, smooth sailing seems to be the likely course for the Bahamas and the Bahamian dollar. Whether you need to buy Bahamian dollars or any other of over 160 different currencies, we’ve got you covered! For a broader understanding of Bahamian history and culture check out our Country of the Week profile. For information about traveling to the Bahamas then be sure to follow our Travel Guide.